I LOVE setting up our Christmas tree. The husband and I always get one right after Thanksgiving and spend the day sipping hot chocolate, listening to Christmas music, and decorating the tree. Although I end up doing most of the decorating…. 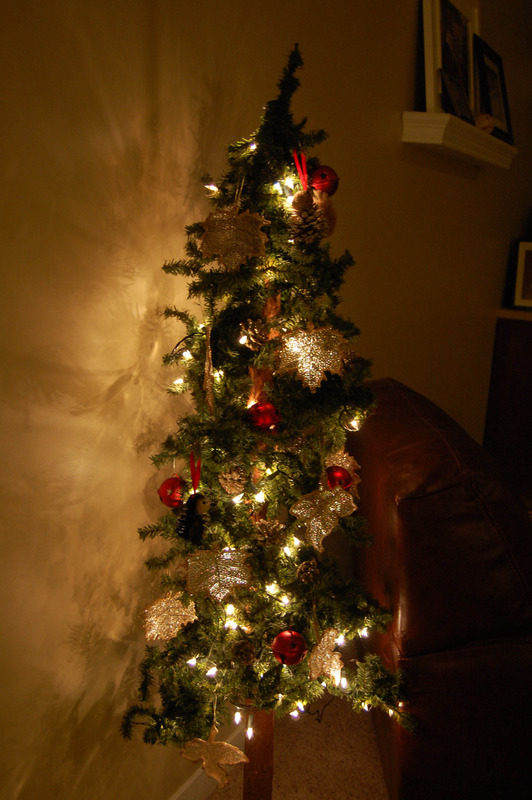 Today I’m linking up with Honey We’re Home to share my Christmas trees! Here’s our main Christmas tree in the living room. I believe in A LOT of lights….I think I used at least 9 or 10 strands on this tree. That’s me in the second grade! My friend Heather gifted me with ornaments a few years ago that were from my cats. This one of Pancake is especially sweet this year. He always loved our Christmas trees. We miss him every day. There are not any presents under our tree yet! So I filled my in-law’s old berry basket with a few little decorations. We also have two mini trees this year. This one in the kitchen is going to display Christmas cards, each secured with a clothes pin….it’s looking a little bare right now…come on people, get on it! I’m happy to report as of today all of our cards have been sent! 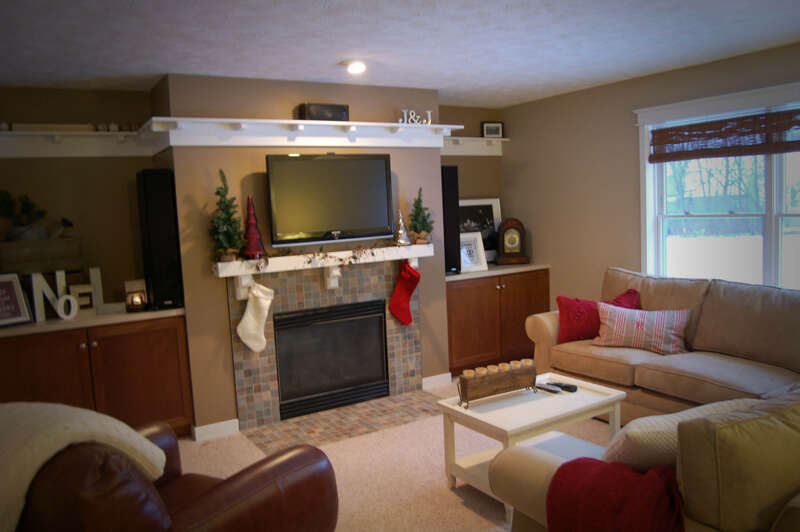 Here’s a shot of our family room decorated for Christmas. And of course we have a mini tree in here too! 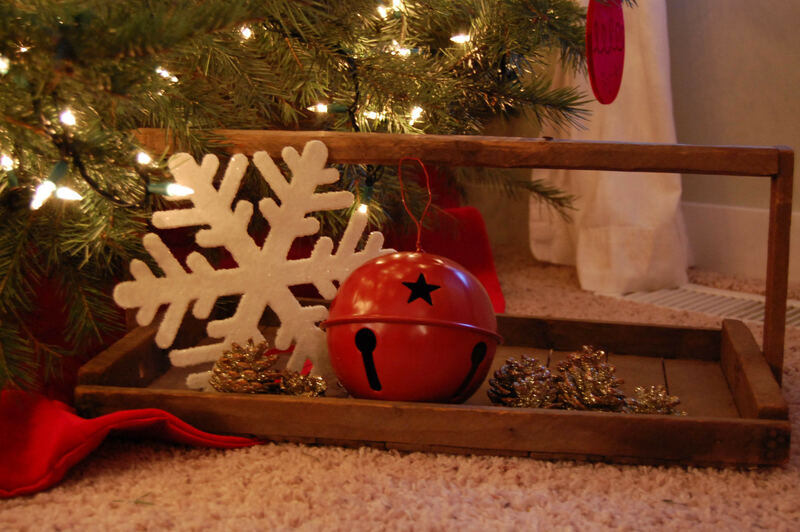 This one is technically Henry’s tree….he’s knocked it over at least 4 times already. Merry Christmas from our house to yours! 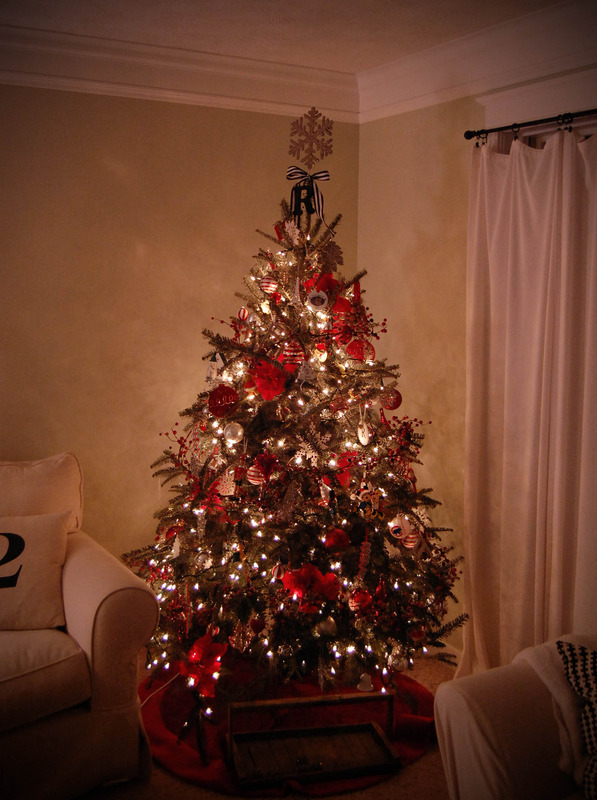 Make sure you link up and check out more Christmas trees! 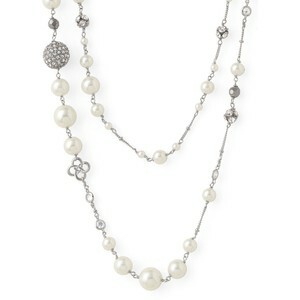 And don’t forget to enter my Stella and Dot giveaway HERE. Everything looks gorgeous!! I love your decorations, and the more lights on the tree, the better! Love your tree! It's beautiful and so are your other decorations:)I am really loving the idea you used to display your Christmas cards. Too cute! 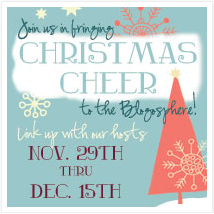 I'm having my very first link-up party today and I'd love to have you! I love all your decorations, sooo cute! Esp love Pancake's ornament… know that is extra special this year! so pretty, I love it! love the mini-tree holding the holiday cards too, so cute! Gorgeous, as always! And I'm loving that white "R" ornament!! Did you make it?? Gorgeous tree! How sweet of the hubs to gift you those ornaments!! 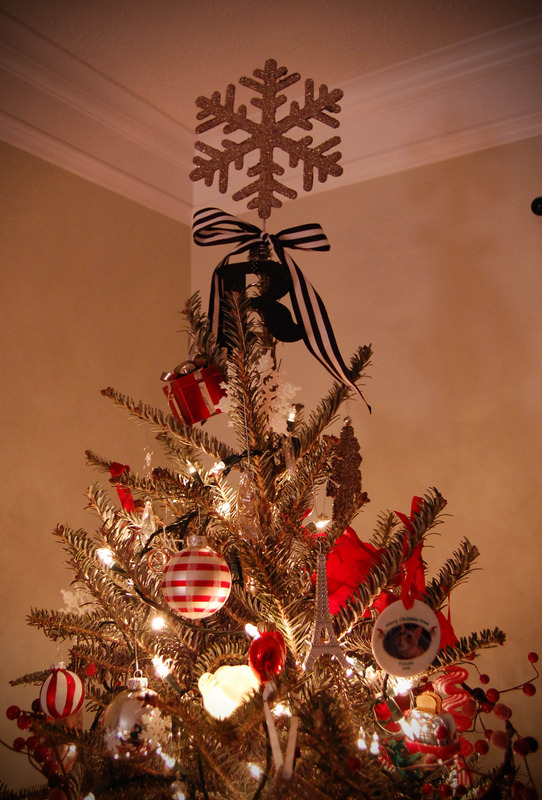 I also love the card tree… and I spy one of my most favourite cards ever on that tree!! 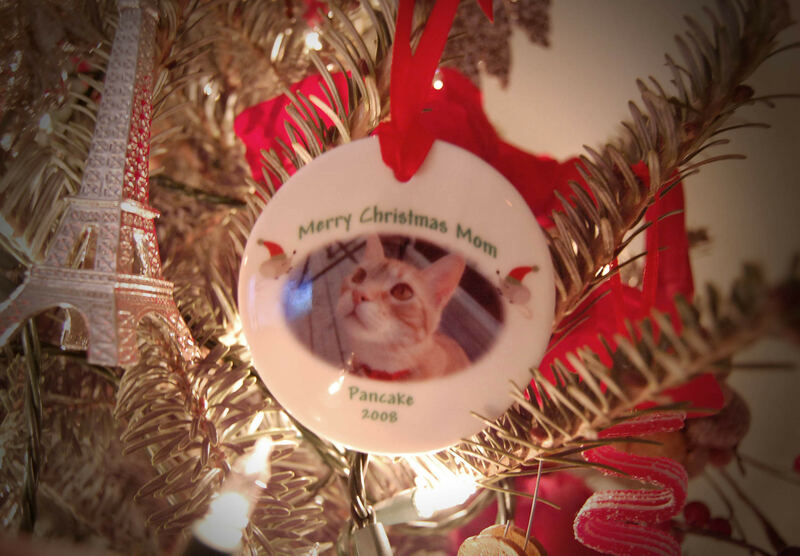 dyyying over Pancake's ornament. Your tree is AMAZING!!!! i LOVE LOVE LOVE YOUR TREES!!!!!!! seriously, the big one is so uber gorgeous!! You seriously have the most beautiful home!! Your trees are stunning! Adorable! I love the card tree idea! That is awesome! Love the mini trees. Very cute. Beautiful tree!! I see Leah, Kyle and Emery! So fun. Everything looks fabulous! 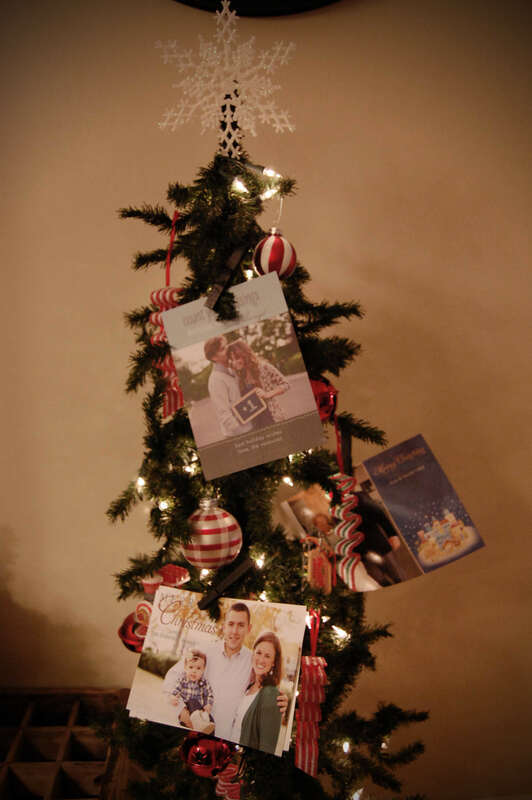 I love the idea of having a mini-tree to display the christmas cards! Your home looks so festive! I love it! your trees are all beautiful! Such a pretty tree! 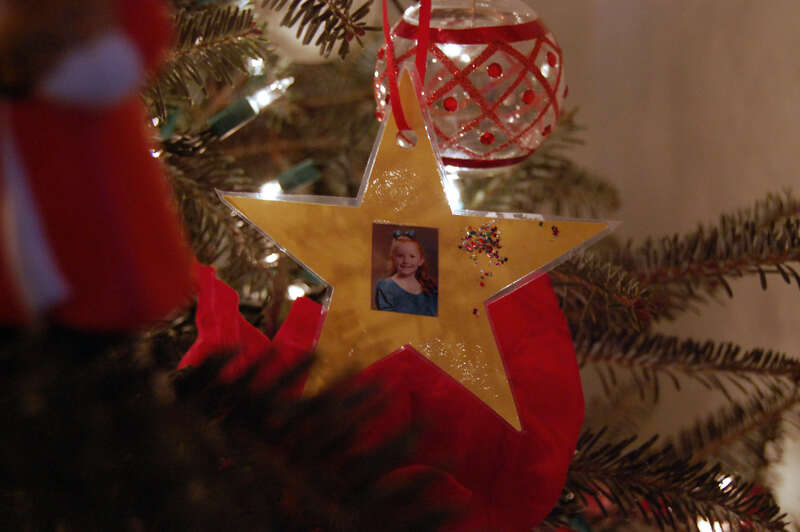 I love how you included your 2nd grade ornament. Too cute! 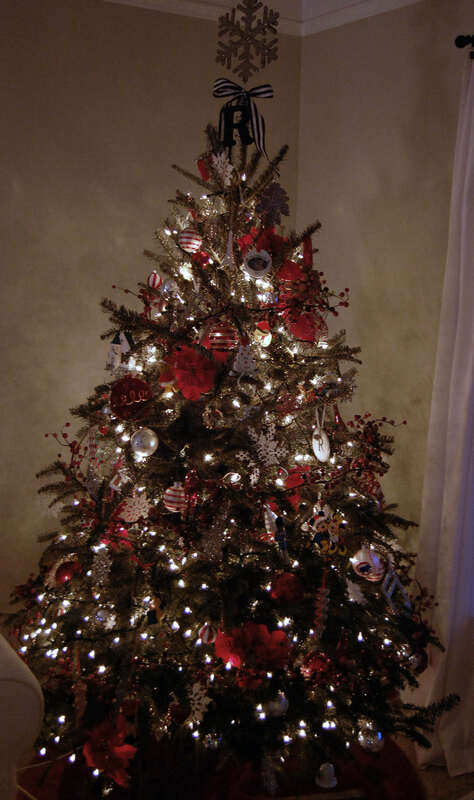 Your tree and decorations are gorgeous!! 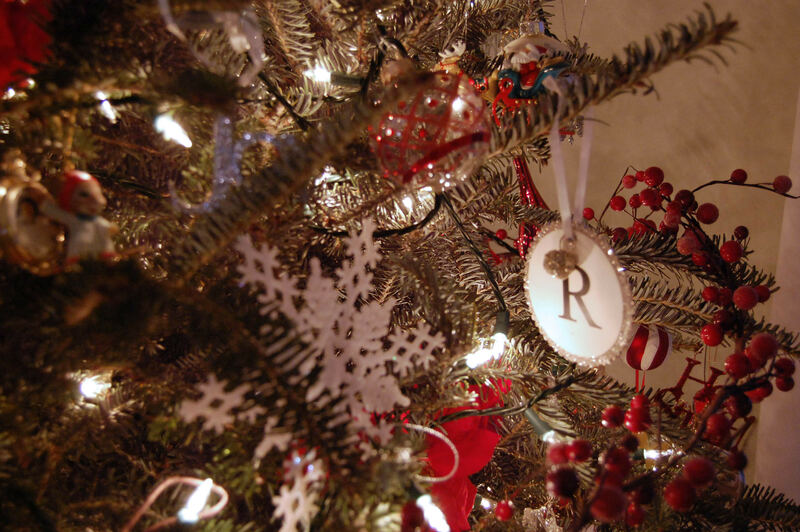 Love the "R" tree topper!